The examples shown are canine, but I can also do felines for this ych with some small edits to it! And yes, finished results will have better lining and such. These are just sketches! 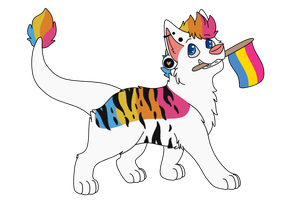 Would you be willing to do one that's not a pride flag (ex: I have a character that carries around a banner with the word strike on it) or is this strictly for pride flags? It doesn’t have to be strictly for pride flags, it can have any type of flag if you want. So yeah I could do your chara. Add-ons: (optional) would her flower be an add-on? I accept! And if her flower is an accessory, then yes it counts. But if it's something thats apart of her then no! 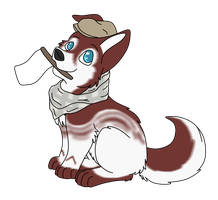 Add-ons: His hair/tail/plugs? ;v; And could his flag be a pan one? Tail edits wont cost nothing, only hair/accessories/etc are considered add-ons to me!